Sopa do	dia,	com	croutons	de alho e ervas. Carpaccio de	vaca com vinagrete balsamico, rúcula, pinhões e lascas de parmesão. Pavlova com molho de frutos vermelhos. The former Pig and Whistle was established in the Golden Triangle area for over 35 years, and seen changes of its ownerships over the years, with differing styles of food. The P&W is established now as an international cuisine restaurant. 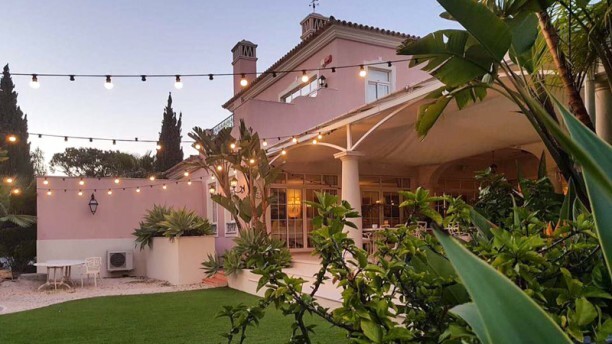 With exciting new flavours complimenting the dishes, it has been known as a hidden gem of the Algarve. Our Chef Tomas Casanova, has established himself as one of the top chefs in the Algarve, having worked in renowned restaurants in the area. The wine list has been carefully chosen to compliment the quality of the food served.